Is There A Chocolate Wine? I was asked if I ever tasted, or heard of a wine made with real chocolate. I have to admit that I never have, and I never even thought to ask if a winery made a red wine with real chocolate. Since I’m always anxious to find new products and learn something new along the way I jumped at the chance to find a chocolate wine. Thank you to my blogging friend Tammy Jo, the Chocolate Priestess for planting the seed. As a lifelong chocoholic I really prefer to enjoy my rich chocolate in it’s true form and drink my red wine with a delicious meal. But of course there is always that great dessert wine served after a fabulous meal that can’t be denied, though I’m not sure one of these “chocolate” wines is IT. There are a couple of dessert wines made with various types of chocolate that is infused in the wine. I can’t imagine how they taste but I read this description for one of the sweet wines: the chocolate is said to “melt into liquid harmony with the wine” and becomes a rich, seductive wine to be served as the dessert. Another wine produced that is supposed to be a “chocolate wine” is a blend of cream with white grapes (Torrontes, Moscato & Pedro Ximenez which is the grape used to make sherry) to produce a ‘wine’ that tastes like a milk chocolate drink with hints of vanilla and caramel. There is a fortified wine made in a Tawny Port style. It is a red wine blend of very ripe zinfandel, syrah and touriga nacional grapes. The ripeness of the grapes adds flavors of red and black fruits which gives the wine a chocolate character with hints of cocoa. And last is a red wine blend of zinfandel and cabernet franc grapes infused with a little chocolate producing a sweet red wine with flavors of chocolate and black cherries. 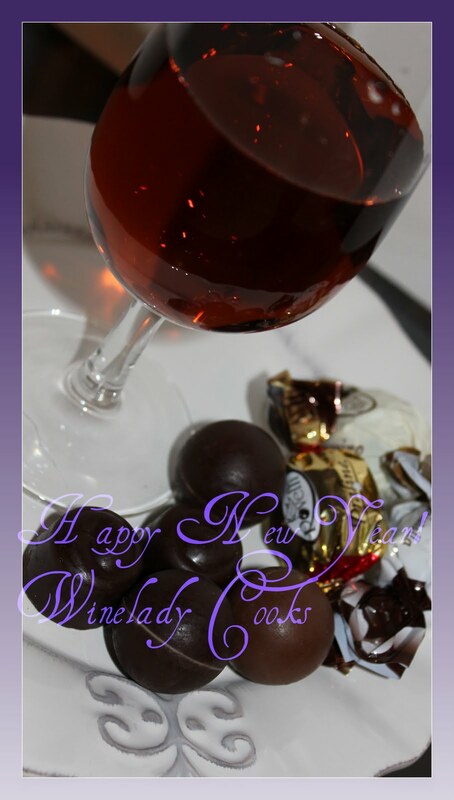 If you like sweet wines with chocolate flavors then you might enjoy these dessert wines. However I’m not sure I would enjoy a dessert wine that taste’s like a ‘milk chocolate drink’. That said, remember “it’s really a matter of taste” so enjoy your dessert as you wish. All the Best for a Happy and Healthy New Year! I’ve tried a number of them including Chocovino and ones from Chocolate Shop and really loved them. Very smooth and very sweet. We’ve tried Chocovino and hated it! For our group from The Chocolate Cult it was like someone took a decent glass of chocolate milk and ruined it with alcohol. Plus it doesn’t have chocolate of any form in it — none, check the label. Have you ever tried Chocovino? I got it as a Christmas present this year, and being a lifelong chocoholic myself, I found it to be quite yummy. It is made with artificial chocolate flavoring (I normally avoid anything artificial), but I’d still say it’s worth a try. Good luck finding the perfect one! I’ll be sure to check back!